At the luxury hotel in Alicante Asia Gardens Hotel & Thai Spa, as good nature lovers, we continue our tour around the most beautiful Asian parks. Today we are travelling to India to discover Gangotri National Park. Are you coming with us? Gangotri National Park is a national park located in Uttarkashi District in the state of Uttarakhand. It is considered one of the most beautiful parks in India. One of the most unique aspects of Gangotri National Park is that the origin of the river Ganga is located inside it. According to the legend, Ganga was released from God Shiva’s hair to Earth. Gangotri, after which the park is named, is a giant glacier which melts in heavy volumes to supply water for India’s most sacred river. The size of this national park is about 2,390 square kilometres, occupied by a pine and conifers forest. The park harbours temperate forests. Vegetation mainly consists of deodar cedars, fir trees, spruces, oaks and rhododendrons. So far, 15 species of mammals and 150 bird species have been documented in the park. This includes some rare species such as snow leopard, black bear or blue sheep. Between April and October, tourism in Gangotri National Park reaches its peak. October and November are ideal for tourism as the greens flourish and wildlife thrives during this period. During the spring, nice temperatures and longer days let tourists trek for a longer period of time. 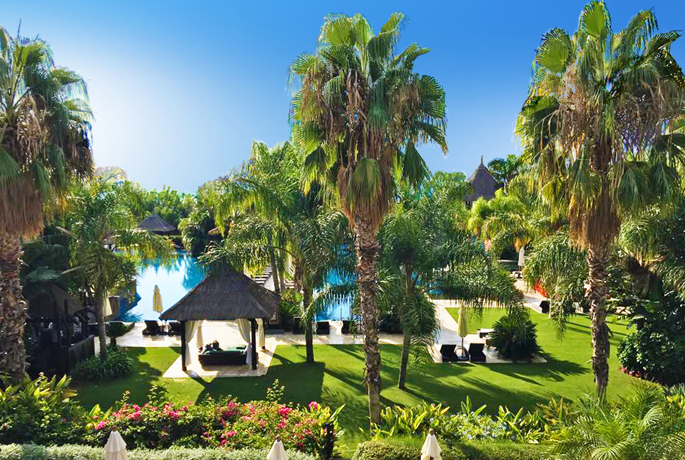 If you are planning on visiting our 5 stars resort in Alicante Asia Gardens Hotel & Thai Spa soon, we suggest you to enjoy a walk among spectacular gardens. A unique experience!